After a great deal of hard work we are pleased to announce that Mapumental Property will be launching on the 8th of November 2012. Mapumental Property uses public transport open data from across the country to show you areas you can live that are an acceptable commute from your office, school or other destination. We have data on buses, trains, trams, tubes – so we look into all the combinations that might help you get to work quickly. We’ve built the site to solve a problem that these other big sites don’t quite get right – commuting. Nobody likes to commute a minute further than strictly necessary. But in a world of complex public transport networks, especially in our big cities, it can be highly unclear where you might be able to live and still get to work in 30 minutes. Mapumental Property will help, and it works anywhere in Britain. It works in Aberdeen just as well as Shoreditch. From next week people in Britain can easily see areas that are less than a specified amount of time away from a place of work, study or other importance, by public transport. So if you’ve ever thought “I wish I could see a map of everywhere less than half an hour’s commute from this office”, this is your answer. Look for more updates next week! We released our new service yesterday, which allows anyone to order personalised travel commuter maps for any location in Great Britain. Those of you who’ve followed this project for a while might be interested to know how we came to take this route. Having finished working on the backend and hosting infrastructure of the Mapumental technology last year, we started thinking about the products that should be built with it. To help us work this out, we talked to lots of people in sectors where journey times matter a lot: residential and commercial property, job search, tourism and public services. What we found is that while everyone loved the dynamic location search technology, there were many situations when people wanted to have a simple static map of commuting times. We heard that these maps would be useful to individuals looking for jobs or property – but also organisations, from property sites to providers of public services, businesses and entertainment venues who’d like a map to put on their website and brochures, or to use in internal analysis. At first we were surprised, but the more we thought about it, the more sense it made. Our search tool, which we are currently working on updating, serves a different purpose: it shows a combination of search criteria, including travel times, and lets the user play with different parameters interactively. But it did not provide a simple snapshot of travel times for a location, divided in bands which are very helpful in assessing commuting times. So we set out to make the map image service, which is what we launched yesterday. This was not particularly straightforward to make, and there were many things to consider: how exactly should the shop work, and what should it offer people? We have settled on four core options for the standard maps: total time mapped, direction of travel (whether the location is where one arrives at, or departs from), arrival or departure time, and custom map title. These maps are really easy to order from the website, and we can make them very quickly. Online ordering works really well for small quantities, but is not ideal for high-volume clients. So we also created a new API – a URL fetcher which allows to create maps in high quantities, as and when needed. These maps can be fully customised, from the choice of colours to number of bands and zoom levels. The the very first user of our API is Foxtons, the estate agent, who added commuter maps to their property listings last week. It is suitable for any property, jobs or hotels site who hold location information (postcodes, or latitude and longitude) for their listings. The API can equally be used by those needing maps for internal purposes, such as city planners, public services and businesses with multiple branches. We are really excited that the service has gone live, and we hope that it helps people and organisations in all sorts of ways. A big thank you to Channel 4 and Screen West Midlands, who have provided the commercial investment to enable the development of Mapumental technology and the new service. If you have any feedback or comments, we’d love to hear them. We’re delighted to announce that leading London estate agent Foxtons has become the first property player to use Mapumental maps on its website. Visitors to Foxtons.co.uk will now see that every property listed includes a travel time map, highlighted in Foxtons’ brand colours. 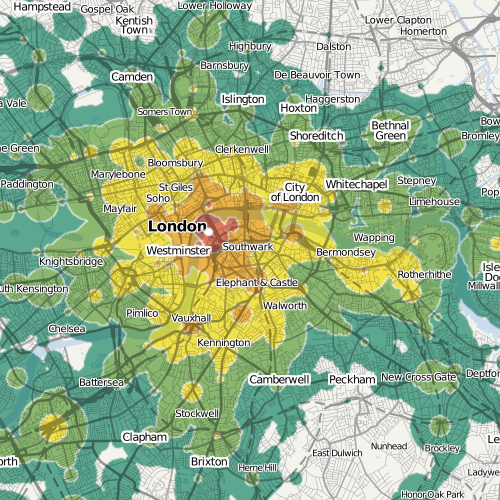 Foxtons, whose website just won an award for Best Interface Design at the 2011 International Business Awards, were quick to see the value of travel time maps for house-hunters. Thousands of listings now display a simple, beautiful, map showing how long a commute to work or visit to friends will take on public transport – vital pieces of information to consider when looking for a new home. The property sector is not the only area of business that stands to benefit from Mapumental’s ground-breaking mapping technology. Mapumental is already talking to major players in the travel industry and recruitment sectors. Virtually any business that needs to show users how much time it takes to travel to or from a given spot will find these maps very valuable. One of Mapumental’s core strengths is its flexibility when it comes to volume – it can provide anything from a single map at a great price to tens of thousands at a significant volume discount. The service utilises travel-time mapping technology developed by mySociety, drawing journey data from the NPTDR dataset. The same data also drives mySociety’s newest project FixMyTransport.com, which launched just last week, and covers all modes of public transport within GB. For the maps service, our algorithm calculates journey times from any given point (postcode or latitude and longitude) to every other point in Great Britain. These journey times are displayed as a heatmap, on a background from OpenStreetMap. other information (such as title and legend) that goes on the map. The image is then automatically created and can be published on a website and/or included in printed materials. 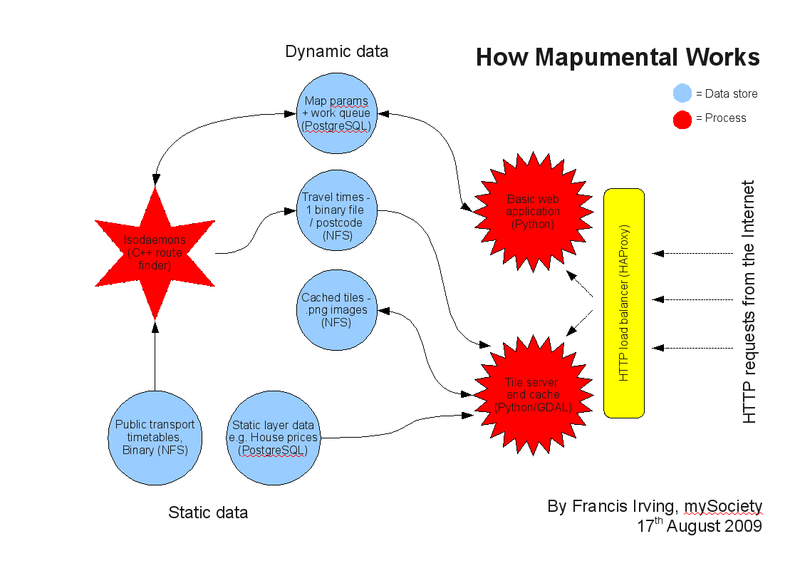 Website owners can publish the maps themselves, or we can create bespoke integration solutions for them..
To find out more about how Mapumental might work for you, please drop us a line. 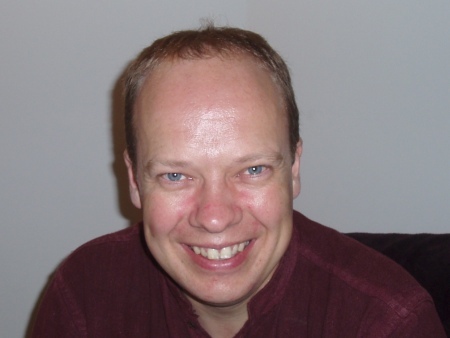 mySociety is looking for someone who loves building relationships, and who enjoys thinking about travel, property and what makes for a great day out. We are a non-profit group of staff and volunteers that builds websites that help people do things like find out how their politicians vote, or get broken street lights and potholes fixed in their road. 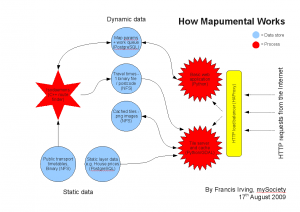 We make most of our charitable money through commercial means, and to that end we’re setting up a spin-off called Mapumental Ltd that is building web mapping tools the likes of which have never been seen before. Watch this video to learn more. Mapumental’s underlying technology is now complete, and ready for user-facing products to be built on top. What we need is someone who can do the market research to work out what products we should build, and who can go out and sell them to clients of all shapes and sizes – from holidaymakers to property firms. At least 12 months experience selling products or services, ideally to corporate clients. Preferably – an interest in maps and the internet. We can be flexible between a minimum of 3.5 days per week, up to full time. You can live and work anywhere in the UK, but your life will be easier if it is within a couple of hours of both London and Birmingham. We offer a salary of £33k+, and we are also offering a decent bonus tied to success at sales. Applications should be sent to hello@mysociety.org by noon of 13th September, with the tag msjob5 in the subject line. This is a re-advertisement of a previously advertised position, and previous applicants need not apply. The job will entail working with the developers to design commercial products based on our Mapumental mapping technology, and will involve carrying out all the sales and marketing required to secure contracts based on them. Must show proof of having made difficult and successful product design decisions. Self starter who can work independently, and at home. Applications should be sent to hello@mysociety.org by noon of 21st June, with the tag msjob3 in the subject line.